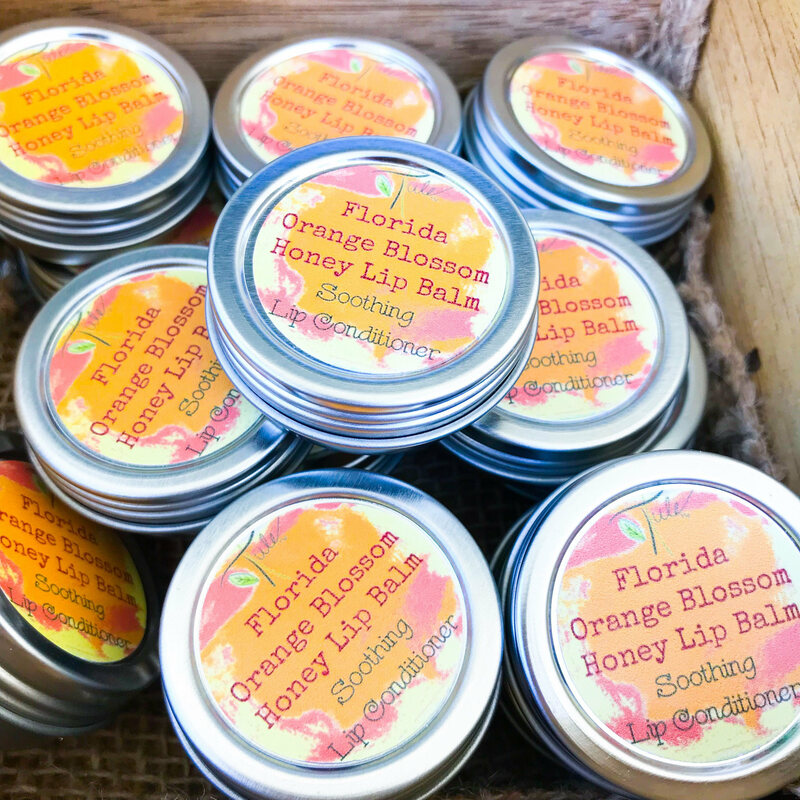 Honey Lip Balm - BEST SELLER! 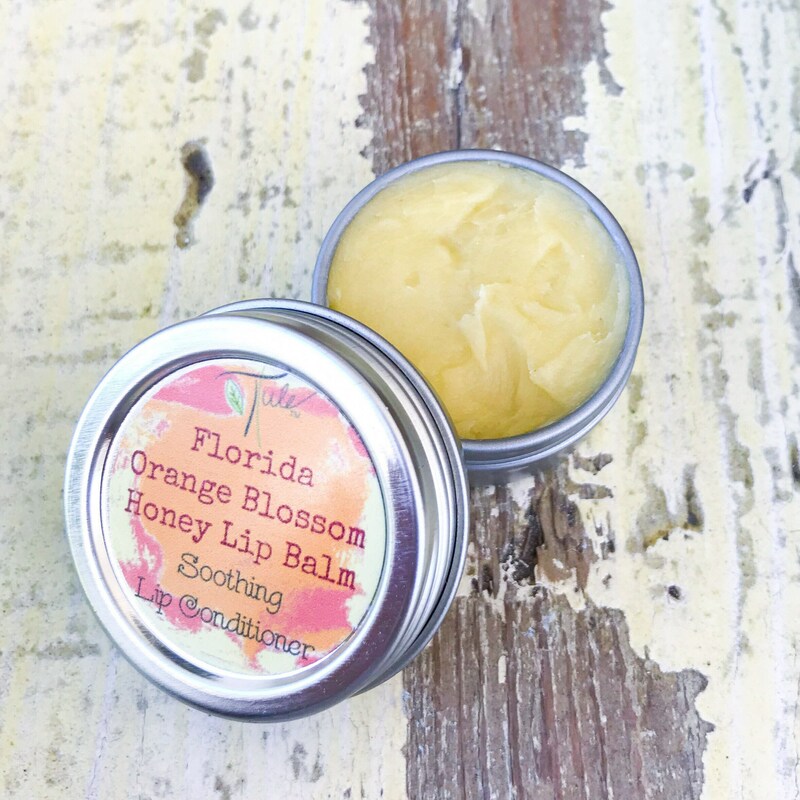 Naturally sweet from honey, this truly hydrating whipped lip conditioner is a sweet treat for anyone day or night. 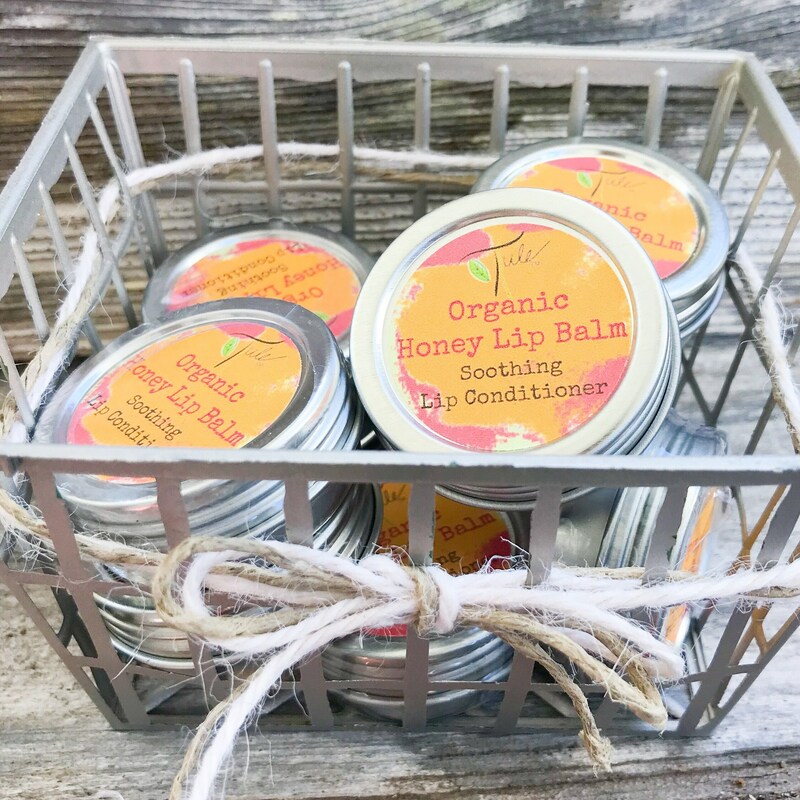 This honey "healing" balm works wonders on weather-exposed lips, chapped & dry lips, and even helps in the healing of minor cuts on your body, since honey is a naturally soothing antiseptic! 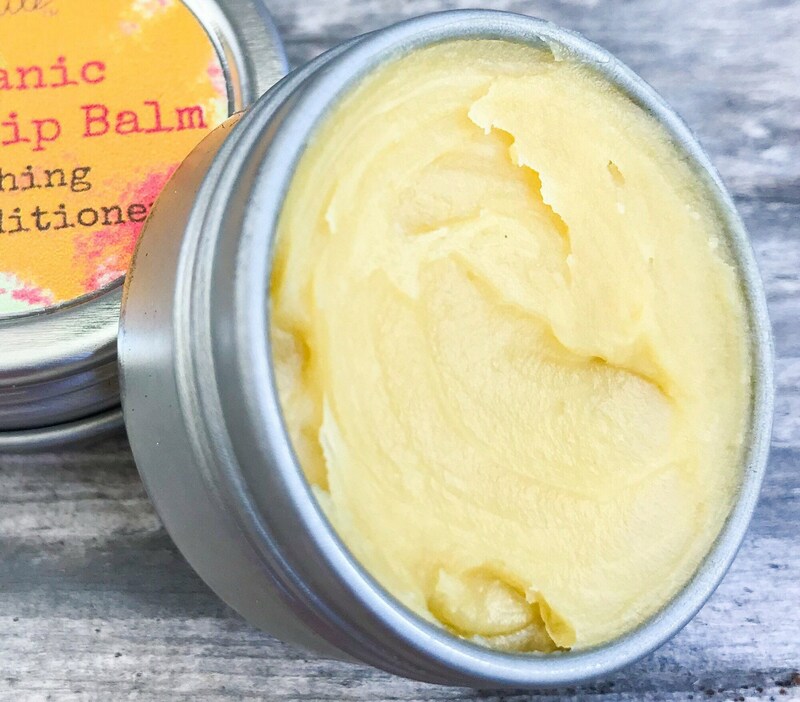 It's a wonderful lip balm and minor cut ointment for kids! 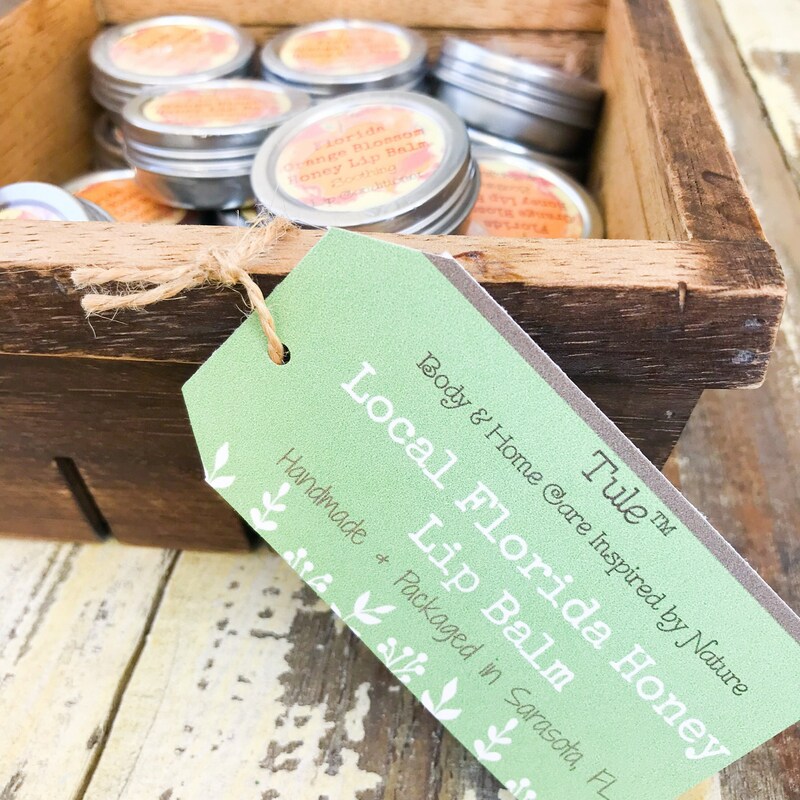 This velvety smooth honey-vanilla lip balm is a perfect addition to your pre-bedtime rituals... give your honey a sweet kiss goodnight, and let your lips get a thorough conditioning treatment while you sleep! (Or all day... anytime). Widely popular by both men and women! 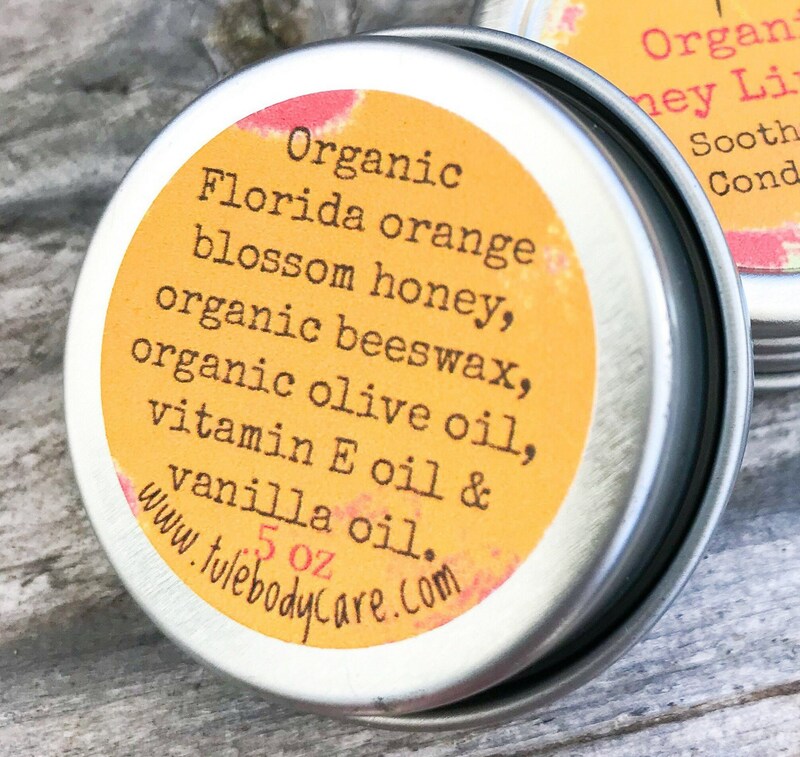 *Ingredients: Essential oils, organic raw cold pressed olive oil, organic beeswax, raw Florida orange blossom honey, vitamin E oil. For your convenience, my shop accepts credit cards, paypal, and etsy gift cards. Most of my products are made upon ordering. Once received, they should be used within 6 months to a year. Usually, your package will be sent out within 3 to 5 days upon the order being received. All packages are shipped through the United States postal service with insurance & tracking. You will be notified when your body treats are shipped with a confirmation & tracking number for your convenience. If your purchase is a gift for someone else, please do not hesitate to mark as a gift, and include their shipping address during the time of purchase. You may include a note to be send along with their gift package as well. Customer satisfaction is important to me. If you have any concerns or questions regarding a product, please send me a message, and I'll be happy to work with you on an issue. Refunds and exchanges will be handled on a case by case basis. 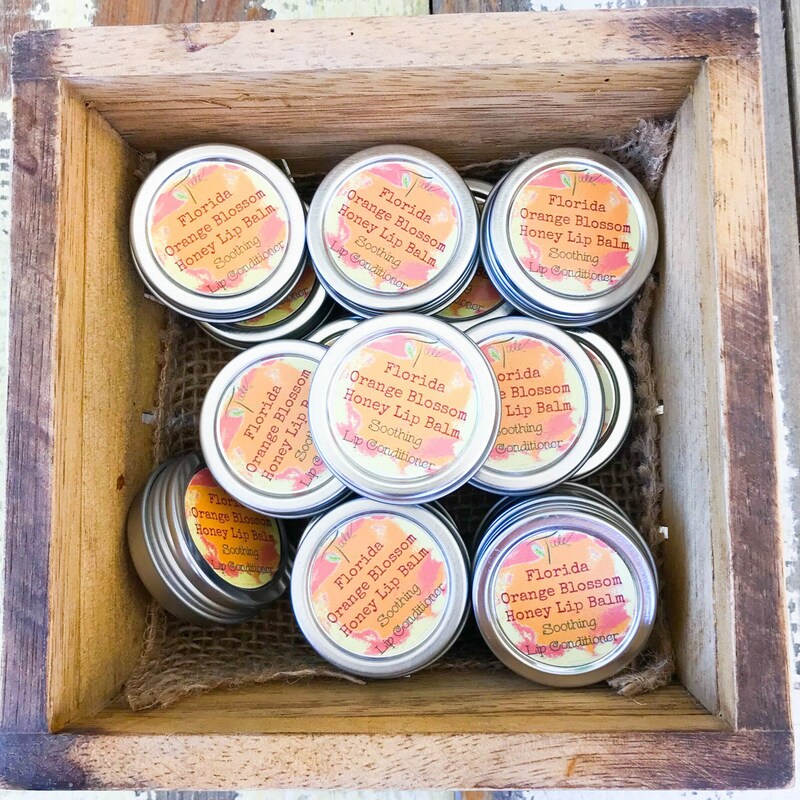 I currently sell my products in some small boutiques, spas, and mom & pop shops. If you are a shop owner or buyer, and you are interested in doing business, please inquire about a wholesale price list. Email me directly so I can reply with an attachment. Please follow the Tule Facebook page! After purchasing from Tule™, your product review is extremely appreciated.. 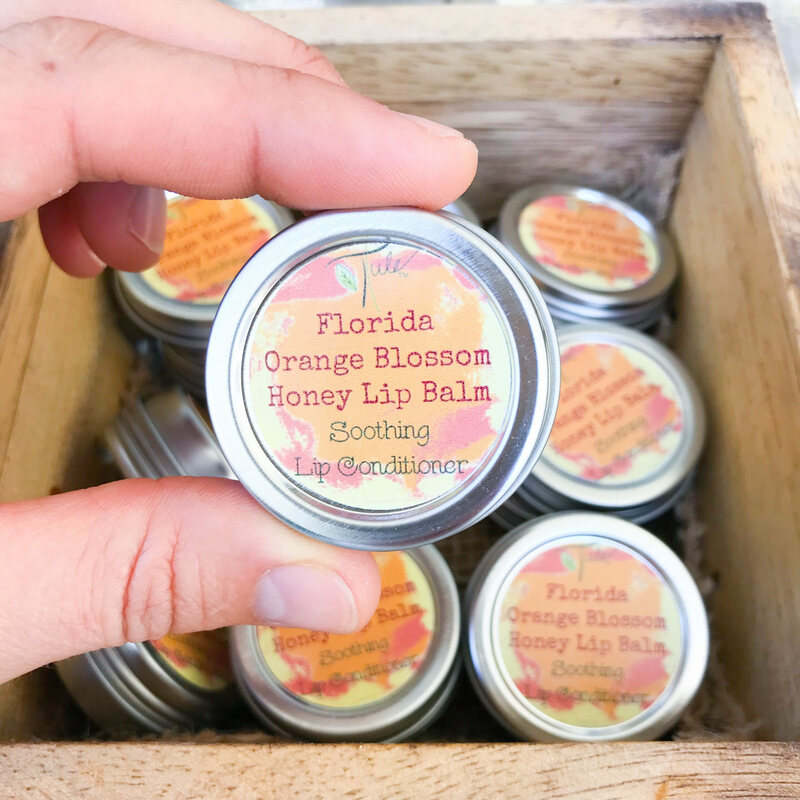 It helps new buyers feel confident in their new, natural product purchase... please help spread the word! Thanks! Shipping cost seems high! What’s going on? The shipping costs are automatically calculated and most likely your cost is more than it should be. Once your package has been shipped, you will be reimbursed the shipping overage if there is any. I just received this today and I'm in love with it already. It goes on smooth and is very light, no greasy or waxy feeling at all. It has a lovely scent that isn't overwhelming, and it tastes good too! This really is the best lip balm. It healed my dry, cracked lips overnight and just a little bit goes a long way. Thank you!! This is such a moisturizing lip balm and taste really good too. Makes my lips feeling smooth in the morning after applying the night before. I keep this by my bedside at night and rub some Honey Balm under my eyes. In the morning my under eyes feel very refreshed. Like this product.